TYLER COWEN: I’m here with Garry Kasparov. Garry, of course, is the world’s greatest chess player ever. More importantly, I think of him as a man who has never, ever shied away from a challenge. He is one of the least complacent people I know, truly brave and courageous. He has a new book out. The title is Deep Thinking. Garry himself is an extremely deep thinker in virtually all areas. The subtitle is Where Machine Intelligence Ends and Human Creativity Begins. Whereas in Garry’s previous book, Winter Is Coming, this time around it’s a little more cheery and, at least in some regards, finally, spring has arrived. Garry, thank you for coming on the podcast. GARRY KASPAROV: Thanks for inviting me. And you’re right, yeah. This book is more cheery than the previous one. I thought it would be a good idea to keep a balance. In both cases, I went against the dominant trend at the moment. When Winter Is Coming was written and published, many people here in this country or in the free world, they had doubts about my strong statements about Russian dictator Vladimir Putin. Now, regarding this book, Deep Thinking, when I was writing the book, many people tended to believe Elon Musk, Stephen Hawking, and other pessimists, who predicted a doomsday scenario, when artificial intelligence would inevitably take over our world. This time, I took the opposite side, the optimistic side, and this book was an attempt to write a real story of artificial intelligence and its connection to the game of chess: Why the founding fathers of computer science, like Alan Turing and Claude Shannon, had such an affection for the game of chess, and why they believed that solving the game of chess or, more likely, making machines capable of beating strongest players, could help them to solve the problems of artificial intelligence, and why, by the way, they were wrong. COWEN: Let me ask you some of my questions. We’ll start with topics related to your book. If we think of computer chess as a kind of project, along with AlphaGo, as somewhat of a referendum on human intelligence, that is, for decades, even centuries, humans have been trying to solve chess and Go and play it better, and understand how the games work. Then, artificial intelligence comes along, computer chess, and they teach us how far off we were. If you think of artificial intelligence as teaching us something about humans, what kind of mistakes we make, how smart we are, or how stupid we are, how would you judge the results of these referenda? KASPAROV: I don’t think the founding fathers of computer science had the same affection to Go or Shogi because they are not familiar or had very little knowledge of these games that were played in other parts of the world. Chess was a game that for centuries had an ultimate sign, a mark of unique intelligence. It was quite natural for them to look at the game of chess as the milestone for breaking up this mystery of human intelligence. KASPAROV: What we discovered in 1997, when Deep Blue was successful in the match against a current world champion — and I was world champion at that time — that chess could be crunched by brute force once hardware got fast enough, databases got big enough, algorithms got smart enough. But even while Deep Blue was victorious, it was anything but intelligent. Of course, you can start arguing about the definition of intelligence because, by the definition of its output, the grandmaster-level chess, Deep Blue was intelligent, at this incredible speed. At certain points, Deep Blue could reach a phenomenal speed — even today it’s phenomenal, but 20 years ago it was mind-boggling — of 200 million positions per second. It offered us very little dream of insight into the mysteries of human intelligence. COWEN: You think humans are smarter than we might have thought? KASPAROV: No, it’s just different. Any game, whether it’s chess, or we can move on with Go or Shogi, still offers us a very limited area of human intelligence because at the end of the day, the way we’re trying to understand who is better in a respective game, it will be resolved, win or loss. Machines have a decisive advantage because, you may call, they have steady hand. Humans are vulnerable because we cannot keep the similar vigilance required to play with the machines, even if we understand chess as well as machines do, even if we can survive the brute force of calculation. At the end of the day, the pressure on the human player facing the machine is simply unbearable. COWEN: When humans are playing chess, and here I mean professional chess players, what do you think is the major human systematic bias during the game? Is it that they’re not patient enough, or they take too many chances? They don’t take enough chances? What’s the bias in us, as human beings, across the board? KASPAROV: I don’t think humans, at the highest level, are playing the machines anymore. It’s useless because you know the outcome. COWEN: Sure, but Caruana sits down against Nakamura. What biases do they exhibit in their play, psychological biases? KASPAROV: Are we talking about two humans? KASPAROV: No, that’s another story because, if you have two humans, then you have two individuals, and most likely they know each other. I played, I guess, 182 games in the world championship matches, and many more games, hundreds of games, against other top players in different competitions. I knew almost all my opponents. I knew what to expect from them. I knew what to expect from myself. Human chess is a form of psychological warfare. It includes a psychological element because you should know how to play a game against a very specific opponent. Not very often, but sometimes, you may look for certain moves that may not be the best, purely from chess point of view, but they could create situation at chessboard that might push your opponent off balance. With machine, it’s totally different. The humans are facing an opponent that is not vulnerable to any psychological pressure and, moreover, an opponent that doesn’t care about what’s happened one move ago. In any human-to-human game, you always have — not necessarily blunders or mistakes — but inaccuracies because if we are reaching a winning position, the complacency is hard to avoid. COWEN: You think complacency is the main human bias you see in top chess games? KASPAROV: It’s complacency if you are the winning side, but it could be also the desperation if you are the losing side. One of the greatest problems against any machine is how to deliver the final blow to win the game. Even if you lucky and you get a very good position, then again, you have to play with precision that is not required in human chess. So, everything that you learn throughout your professional career, it suddenly is working against you. My experience — and I’m talking about best games played by top players — tells me that inaccuracies are inevitable. Any inaccuracy against the machine, even if you’ve made, already, 45 good moves and 4 great moves, but the 50th move that is simply inaccurate may deny you victory that you think you deserve by playing brilliantly. You don’t have to lose, necessarily, if your position’s really good. But let me emphasize, playing against the machine requires precision and concentration. I don’t think it can be achieved by humans in a regular game of chess, or another game like Go or Shogi. If we want to continue this experiment, or to put it in an extreme form, I would say that if we have Magnus Carlsen, the current world champion, offered an opportunity to play against the computer, say 10 games match, on the conditions that he wins the match if he wins one game, which means he can play all the games without thinking about losing the game by making a mistake. He can play without this terrible psychological pressure, maybe there’s still a chance. COWEN: I would bet on the computer, though. Would you? KASPAROV: No, he has to win only one game. COWEN: I know, but to win a game against Rybka is very difficult. If it were draw one game, I might bet on Magnus. KASPAROV: No, no, no, no. If you’re talking about drawing, and Magnus plays white, for instance, let’s take Magnus, I think it’s still 50/50 chance. Magnus is pretty good. I’m talking about winning. Drawing, you’ll make a few draws, that’s for sure. I’ve no doubt about it. Winning — if you give him this big handicap that he doesn’t have to think about losing the games — it’s all about concentrating and looking for the best moves. I think he has a chance. I wouldn’t bet my bottom dollar, I still think it’s below 50 percent, but he has a chance. There’s a decent chance — it’s not slim to none — that the best player may win. Again, we’re talking about a handicap event. The matches I played with Deep Blue, and following matches that I played with Deep Junior and Deep Fritz, and the matches that Kramnik played with Deep Fritz, they ended the story of human-machine competition on equal terms. They closed this chapter of the search of the mysteries of human intelligence in the realm of chess. COWEN: A lot of humans don’t play chess, but we’re looking at a future where AI will make decisions about who gets a monetary loan, who is diagnosed as being schizophrenic or bipolar. How cars drive on the road increasingly is controlled by software. The fact that the decisions of the software are not so transparent — and you see this also in computer chess — how will ordinary human beings respond to the fact that more and more of their lives will be “controlled” by these nontransparent processes that are too smart for them to understand? Because in your book, you have emotional conflict with Deep Blue, right? KASPAROV: Exactly. I’m telling you that it’s inevitable. There are certain things that are happening, and it’s called progress. This is the history of human civilization. The whole history is a steady process of replacing all forms of labor by machines. It started with machines replacing farm animals and then manual laborers, and it kept growing and growing and growing. For more on AI technopanic, check out Adam Thierer’s essay on Medium. This is a cycle. The only difference with what we have been seeing throughout human history is that now, machines are coming after people with college degrees, political influence, and Twitter accounts. COWEN: Say I’m at the self-checkout in the supermarket. If something doesn’t work, I sometimes get fairly frustrated. If I’m with a human cashier, maybe a new person they’re just training, and they don’t do it properly, I don’t get frustrated at all. I’m very tolerant because it’s a human. But the machine, it’s much harder for me, just like it can be harder to play against Deep Blue than another human. Are we doomed to a future where things maybe work more effectively, but we’re frustrated all the time because there’s no human-to-human interaction to ease? KASPAROV: It’s hard for us to imagine, but we have been moving in this direction for a long time. Many things are being done by machines already. Now machines will be more actively engaged in human interaction. I can hardly imagine the supermarket with no humans at all. There will be other humans who will be supervising machines. COWEN: You could run a supermarket with no humans. I think there are a few of them in Japan. KASPAROV: I still think, at the end of the day, you need some humans in different kind of job. Because exactly what you said: frustration and certain accidents. At the end of the day, you run supermarket to make profit. You don’t want your customers to run away if they’re unhappy. So you will need maybe some human-machine psychologist to make sure that the customer satisfaction will be up to a certain level. Let’s look at this historical process. Machines that replace manual labor, they have allowed us to focus on developing our minds. More intelligent machines, I understand that they will take over more menial aspects of cognition and will elevate our lives towards curiosity, creativity, beauty, joy, you can continue this line. We just have to understand that everything that we know how to do, machines will eventually do better than us. COWEN: Let’s say there’s a mortgage-lending algorithm, and someone charges that it’s discriminatory. It lends too often, say, to white people, and not enough to black people. There’s some kind of trial or regulatory inquiry, and the first thing everyone realizes is that no human can even understand the algorithm, much less judge it. What happens then, legally? Or is it simply the case that so many new chains of cause and effect are so nontransparent to us, we don’t even know what to do? KASPAROV: My answer is, I don’t know. But that’s exactly why we should not worry about the future. The problem with the future is if we know what’s going to happen — that’s always not good. We don’t know. That means that in the situation that you described, we’ll need new kind of lawyers, we’ll need new kind of expert that will be able to solve these problems. There will be redistribution of jobs. Many jobs today — like drone operators or 3-D printer managers or social media managers — they didn’t exist 10 years ago, 15 years ago. No doubt in 10, 15 years, there will be many jobs, maybe the best-paid jobs, that don’t exist today, and we don’t even know how these jobs will look. I think that’s natural. 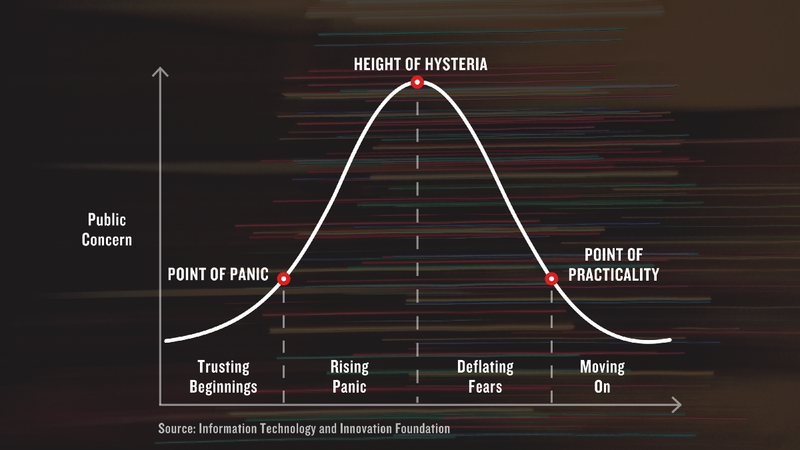 All we have to do is realize that this process is inevitable, and we have to prepare us mentally, but also to have some sort of safety cushions to help people that will have great difficulty in adjusting. People that come from manufacturing jobs, manufacturing-sector people that are older and don’t have the same knowledge of machines, and how to make sure that society will not be shaken badly by another dramatic shift in technology. COWEN: Say more and more jobs are redistributed toward AI. It can be very daunting to work with artificial intelligence. So, with Deep Blue they had Joel Benjamin, who, as you know, is a very smart guy. Is our educational system up to the shift? And won’t it just mean the return to skilled labor keeps on rising and income distribution becomes less and less equal? Or do you think somehow we will adapt? KASPAROV: Now we’re talking . . . You mentioned the word education. That’s where we should concentrate. I think it’s quite obvious today that the educational system that is still dominating this area of knowledge, it’s inadequate. When you look at a classroom, it hasn’t changed since the University of Bologna in 13th, 14th century. We still have the same school infrastructure or college infrastructure that normally is like a one-way street. Information always comes from the teacher to the class, while this new generation is operating in two ways — it’s always interactive exchange. The biggest problem, and I’ve been talking about for quite a while, that we’re still teaching very specific knowledge in the schools. Instead of teaching what, we have to teach how because this knowledge may be redundant 10 years from now. We are preparing kids for the world that will change dramatically. By the way, we already know it will look different. So what’s the point of trying to teach kids at age 10, 11, 12 without recognizing the fact that when they finish college, when they will become adults looking for jobs, the job market will be totally different? [W]hat’s the point of trying to teach kids at age 10, 11, 12 without recognizing the fact that when they finish college, when they will become adults looking for jobs, the job market will be totally different? COWEN: Most don’t even finish college, right? KASPAROV: Many, they won’t finish college. Now we have to start thinking already, not even thinking but implementing, new techniques to teach them how, to teach them certain basics, certain skills that will be required in the world that we all know will be quite different. The new jobs will require, definitely, knowledge of computers, and certain traditional skills that have been on demand for generations simply will vanish. COWEN: Won’t AI just adjust much more quickly? AI progress in chess exceeded your expectations, the expectations of David Levy, many other people. It seems our system of education at K-12, the high school graduation rate has been almost stuck since the late 1960s, college graduation rate maybe is approaching 40 percent. It could take 30, 40 years to turn that around, even if we started doing everything right now. Are, in a sense, some people still left in the dust by these differential rates of change? Should we be so optimistic? KASPAROV: Yes and no. We tend to forget that every dramatic change in human history caused also major problems. Whether we like it or not, the most dramatic technologic advance happened at a time of war, when people thought only about winning and having the best. They didn’t think about sacrifices or about comfort. I hope we can avoid repetition of the cycle. Naturally, we can expect substantial problems for many people who will have difficulty adjusting to new realities. What we can do: Let’s be objective, let’s talk about it. And let’s not terrorize them by the images of the Hollywood movies, like The Terminator or The Matrix. It’s a challenge that is ahead of us, but it’s not the end of the world. There will be downsides, but there will be upsides. Let’s see how we can manage our move into the future. Because what is the alternative? We don’t get to choose when and where technological progress stops. It’s happening. What I believe is the right approach is to understand that, while machines can do eventually better everything that we know how to do, there’s still so many new things that only we can reveal. I’m always calling for us looking for new frontiers. There’s no need to slow down, we just have to speed up. There’s so many new challenges. It’s up in space, down in the oceans, so many things that we’re not doing now because they’re too risky, and we like our comfortable life. Artificial intelligence — though I’m not as optimistic about its development — I don’t think it’s going to happen overnight. It’s happening but it’s not a speed that is threatening us as predicted by the doomsayers. That will give us a push towards more risky adventures, forcing us to take the tasks that now we are rejecting because they are offering questionable returns with obvious risks. COWEN: You’ve been a pioneer in what’s sometimes called advanced chess, freestyle chess, or centaur chess, where you pair a human being with a computer or a set of programs. Today, 2017, do you still think it’s the case that a human paired with a set of programs is better than playing against just the single strongest computer program in chess? KASPAROV: There’s no doubt about it. COWEN: The human will make some mistakes, so the human will ask Stockfish, Komodo, Rybka, “What’s the best move?” Collate the different outputs, make some kind of judgment, explore some lines more deeply. Put that against Rybka Cluster. Is Rybka Cluster really going to lose many games? KASPAROV: I think so. Again, it depends on the qualification of the operator. COWEN: Sure, if it’s the best operator in the world, whoever that may be. Maybe yourself, maybe Anson Williams. KASPAROV: By the way, I exclude myself from this category because I’m not a very good operator. I’m a very good chess player. A great operator does not have to be necessarily a very strong player. COWEN: What makes for a great operator? KASPAROV: Someone who can work out the most effective combination, bringing together human and machine skills. I reached the formulation that a weak human player plus machine plus a better process is superior, not only to a very powerful machine, but most remarkably, to a strong human player plus machine plus an inferior process. At the end of the day, it’s about interface. Creating an interface that will help us to coach machine towards more useful intelligence will be the right step forward. I’m a great believer that, if we put together a good operator — still a decent chess player, not necessarily a very strong chess player — running two, three machines and finding the best way to translate this knowledge into quality moves against Rybka Cluster, I would probably bet on the human plus machine. COWEN: A few questions about another one of your interests: Russia, formerly the Soviet Union. If we look back on centuries of Russian history, do you think there’s something in Russian geography or demographics or geopolitics — what has it been that has led to such unfree outcomes fairly systematically? Where do you find the roots of tyranny in the history of Russia? Is it a mix of the size of the country, its openness to invasion, its vulnerability, something about being next to a dynamic Europe, on the other side, China? What is it? KASPAROV: It’s a long, if not endless, theoretical debate based on our interpretation of certain historical events. I’m not convinced with these arguments about some nations being predetermined in their development and alien to the concept of democracy and the rule of law. The reason I’m quite comfortable with this denial . . . We can move from theory to practice. While we can talk about history and certain influence of historical events to modernity, we can look at the places like Korean Peninsula. The same nation, not even cousins but brothers and sisters, divided in 1950, so that’s, by historical standards, yesterday. And we could see the difference. One country is the demonstration of Orwell’s worst nightmare. It’s a gulag run by a paranoid dictator, a family of dictators, it was three generations. On the other side, the very same nation built one of the most sophisticated market economies and a very resilient democracy, a democracy that people in Europe can envy. Just recently they had a president impeached and tried, and the CEO of the biggest corporation also being charged with crimes. COWEN: The two most important people in the country, right? KASPAROV: Exactly. That’s the same nation. Then, obviously, we can talk about two Germanys, but I would rather look now to China and Taiwan. Again, the same people, and we can see the difference. Obviously, China is growing, but comparing to dynamism and political stability of Taiwan . . . And Taiwan is just a small rocky island with 20-plus million people versus one-point-whatever-billion Chinese in continental China. And we can see that Taiwan is far more advanced, more dynamic. The separation happened at the same time. We can even look — because you just mentioned Asia and Europe — we can even look at the former Soviet Union and try to analyze, from our knowledge of 2017, what’s happened after the collapse of the Soviet Union, and why some nations that are close to each other now moved in opposite directions. Let’s look at Russia and Ukraine, and let’s look, not at the whole Ukraine, but just at eastern Ukraine. Eastern Ukraine is populated mostly by ethnic Russians. In the former Soviet Union, the borders between republics were very nominal. People could move around, it was not a big deal. Even after the collapse of the Soviet Union, the official state border between Russia and Ukraine was respected, but people still could move around. They didn’t need special visas. When we look at ethnic Russians born and raised in Kursk and Belgorod on the Russian side and across the border, say in Kharkiv and Dnipropetrovsk on the Ukrainian side, there were people that could be hardly separated anything. They read the same newspaper, Pravda, watched the same television, spoke the very same language, not even accents. But somehow, in 2014, after Putin’s annexation of Crimea and invasion of eastern Ukraine, we saw a huge difference. Most of ethnic Russians in Ukraine signed for the Ukrainian army, fighting against Putin’s invasion, against the same Russians that came from the other side. It could be a long debate, but I would say that one of the main reasons is that Ukraine experienced in 1994 a gradual transition of power from one president to another after sitting president Leonid Kravchuk lost elections and walked away. Ukrainians somehow got an idea that power is not sacred, and government can come and go, and they can remove it by voting. And even despite the fact that Ukraine never experienced higher living standards than Russia, people realized that keeping this freedom, keeping this ability to influence their bureaucrats and government through the peaceful process of voting and, if necessary, striking, far more effective than Russia’s “stability” where the same leader could be in charge of the country with his corrupt clique for a long, long time. COWEN: How vulnerable is Putin right now, and to the extent he is, is there a path toward democracy at the end of that process? KASPAROV: I don’t know whether there’s a path to democracy. What I know is that it’s the regimes like Putin’s that are the most aggressive and most dangerous. It’s not even Soviet Union or modern China — where you had, as in USSR or we have today, as in China — a Politburo, a Central Committee of the Communist Party, a group of very powerful people calling all the shots. Putin’s Russia is a one-man dictatorship. And a dictator doesn’t care about the future of the country or about the transition of power. There’s nothing of interest for him if he’s gone because, normally, it’s not a retirement. He loses power, he loses everything, including, very often, his own life. So he will be desperate in protecting this power and throwing all resources at his disposal to stay on the top. That’s why he is less sensitive for new wars and new, very aggressive international moves because his power is not limited. Every group of people, even the worst of people, the Mafia families, they always come to more balanced decisions, because there was a search for some kind of compromise. COWEN: As in Iran, yes. KASPAROV: Exactly. They have to look for compromise because they know that they’re all part of the same system. If the system goes down, they all could lose everything. Putin doesn’t have to listen. He may listen, but he doesn’t have to listen to these advisers. His powers are not limited by other elite groups. All he has to do — and he proved to be a very capable dictator — to make sure that these groups are fighting each other. He could be a kind of judge on top of that. I always call it the spine of the system, which means that if he goes down, you don’t expect a simple transition of power. Will it be a democracy? The answer is no, it’s not going to be democratic next day, but I’m strongly resisting the popular idea in Russia, and now in the free world as well, that Putin’s collapse could lead to something even worse. They say it will open fascist dictatorship, as if today in Russia we don’t have a fascist dictatorship. No one, or no other group, that will replace Putin in power will have the same ability to cause damage inside the country and outside the country. Most likely, these groups will try to communicate with the West, to find some kind of an understanding and to reduce the tension. So, while I don’t expect an immediate democratic reconstruction in Russia after Putin’s collapse, I think that Putin’s fall, Putin’s demise, will serve Russia well, and also will help to reduce the pressure with our neighbors. COWEN: What if the provisional government of Kerensky had made peace with the Germans in World War I, before Lenin re-enters the country? Could you imagine a path for Russia where it, today, would be more or less like a normal European country? KASPAROV: I think that if we try to make some projections into the future, you can hardly imagine Russia surviving as a state in its current borders. I’m not sure it’s feasible at all with all the pressure from China and radical Islam from east and from the south. But for Russia to find its spot in the family of civilized nations in the 21st century, it has no other choice but to work with Europe and the United States. 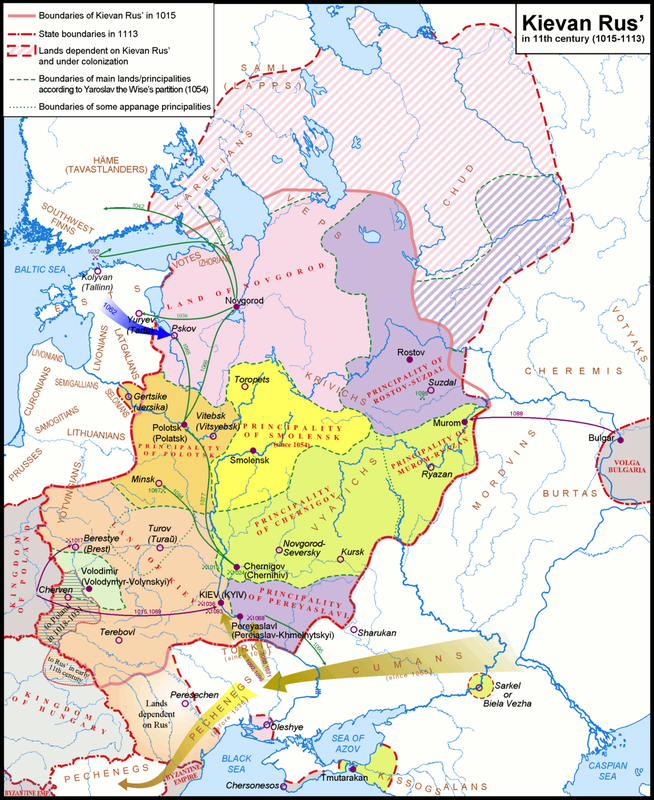 Also, going back to this Russian-Ukrainian conflict, and now open war in eastern Ukraine, we can revisit early days of Russian history, going back 1,000 years, to remind people that there was another Russia. Actually, the kind of Russian civilization was Kiev’s Russia, and the trade republics in the northwest of Russia like Novgorod and Pskov. Those entities were fully integrated into European political and trade space. Maybe what is happening now in Ukraine, and what will happen eventually in Russia — it will be the final showdown between Kiev’s Russia and the pro-European Russia and the dominant tradition that was inherited by Moscow from the Golden Hordeand Byzantine Empire, and Russia will reinvent itself and will go back to its original roots. COWEN: We have a segment in all of these podcasts called underrated or overrated. I name something and you give me your sense of how important it is to you, or if it’s underrated or overrated. I’ll start with the Bulgakov novel, Master and Margarita. Overrated or underrated? KASPAROV: It’s hard to say because it was my favorite book. It’s still my favorite book. COWEN: Then it’s underrated, right? COWEN: Why is the novel important to you? KASPAROV: It’s hard to explain for people who did not grow up in the Soviet Union because it has so many unique aspects that were close to the hearts of people who experienced communism and the life under these draconian laws. But it’s a unique combination of recent history, going back to the days of Jesus and telling us, in a very regional form, the classical biblical story and projecting it to the life in Moscow in the ’30s. For those of us who read it in the ’70s and ’80s, we still could actually feel that it was — because it was about human nature. It reminded us that human nature doesn’t change. With all the progress, people still have the same vulnerabilities, the same weaknesses, the same temptations. This connection of times from the ancient days to modern days, for me it still stands. COWEN: What from American fiction has almost the same power for you? Faulkner, Melville, Mark Twain? You’ve become an American in some ways. KASPAROV: Talk about human nature, All the King’s Men. KASPAROV: Ides of March, Thornton Wilder. I’m always looking for the books that are about something else, about days that were in the distant past, but again there’s something that is so close because we’re humans, and certain images from these books we could see in today’s political arena. COWEN: The films of Andrei Tarkovsky. Overrated or underrated? KASPAROV: Stalker, yes. It’s a mixture. I also don’t like when you say films. Overall, I’m not his biggest fan. I picked up one or two movies, as I mentioned, Stalker, but otherwise, I’m not the greatest fan. 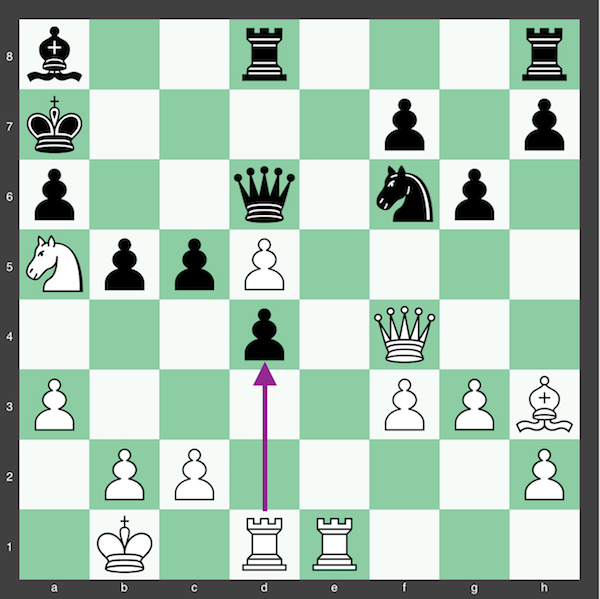 COWEN: The chess opening, the King’s Gambit, 2.f4. Underrated or overrated? KASPAROV: It’s a great piece of history, but it has no relevance today. So it doesn’t pass my test of connecting the past and the present and the future. There’s certain things that stay in the past because they were great moments in the game of chess. These gambits helped to create beautiful games that we can still enjoy, but . . .
COWEN: But Spassky beat Fischer with it once. That was a long time ago. You don’t think that could happen . . .
KASPAROV: Having a totally lost position after move 15. COWEN: With databases, you think no way ever again? KASPAROV: I look at these openings, and I just come to the conclusion that they simply don’t stand modern technique of defense and counterattack. They’re not feasible. If you are looking for a good game, professional game, they’re not feasible. By the way, I was the one who reinvented and brought back the Scotch, the Evans Gambit. But I have to realize that . . . OK, I don’t play anymore, but the way chess has developed made most of these openings — not all of them, mainly gambits — simply not feasible weapons at the top level. COWEN: If you took a top-10 player from the ’70s, someone like Timman or Ulf Andersson, a very good player . . .
KASPAROV: Are you sure Timman is top player of the ’70s? COWEN: Top-10 player at times. KASPAROV: I don’t think he was top 10. In the ’70s? OK, he was getting close . . .
COWEN: Someone who was in the candidates’ matches but never champion. You give them a 2017 openings database that they can use, and no one else ever has access to. How much stronger a player do they become? KASPAROV: It could be quite a significant progress. COWEN: 100 rating points? 200 rating points? KASPAROV: I don’t know, but it will definitely add, probably, 100 rating points. The reason I’m thinking about your question, and I have some difficulty answering this question, is that, for how long will it stay secret? KASPAROV: The moment people see new ideas, they will start moving into this territory. You can hardly imagine that you can sit on this database for too long and others just falling victims of this deep knowledge. But it will be quite a significant improvement. In the match, if you’re talking about a database given to a world championship, one of the participants of the match, say Korchnoi-Karpov that could . . .
COWEN: It would decide the match. KASPAROV: That could be the decisive factor, yes. COWEN: Tolstoy. Overrated or underrated? KASPAROV: Do you have the . . .
COWEN: [laughs] You can answer however you want. KASPAROV: Very uneven. Certain novels are just . . .
COWEN: The short fiction, right? Hadji Murad is phenomenal. KASPAROV: Many of them phenomenal. The problem was that there sometimes is so much philosophy, like in War and Peace. I think it’s outdated. COWEN: Outdated like the King’s Gambit? KASPAROV: Dostoyevsky, underrated because it’s all about human nature. That doesn’t matter, whether you live in Russia in the third quarter of the 19th century or the first quarter of the 21st century, the human emotions, the human temptations, the human reactions — they are still very much the same. COWEN: Back to chess. We both know Ken Rogoff, highly successful as an economist and a very good chess player. If we take most top chess players at the very top, and somehow they could not have played chess — in other endeavors, how successful do you think they would have been? COWEN: But they’re smart, right? How specialized is the talent? KASPAROV: You talk to the very general audience. When you say very good chess player, you have to explain. KASPAROV: No, no, Ken Rogoff . . .
COWEN: Not top five, right? COWEN: Very good by your standards. KASPAROV: He was very good by any standard, and that makes him unique, whether he was top 100 or not, but somewhere there in the world at his peak in the mid-’70s. I don’t think that the aptitude of playing chess is anything but aptitude for playing chess. There’s no universal rule. Some people could move to other areas. I was very, very lucky that I grew up with my mother, who helped me to get education outside of chess. I always had various interests and looked for life in its entirety. That’s why after I stopped playing professionally in 2005, then already with the help of my wife, I could move from chess to other areas. Now I have a very full life without playing chess professionally. But that’s not the rule. That’s not happening with other players. Some of them, I’m sure, could do extremely well. By the way, some of them were very good businesspeople. Some of them made good investments, if you look at some of the British grandmasters or other players in Europe. No rule, but I think chess helps some of them to find the right approach to their new endeavor. It may not be specific. For instance, I’m more of a humanitarian, so I prefer history, literature. I guess I’m a good speaker, but I’m not as good in number-crunching. It’s very important to understand what you’re good at. That’s where chess helps you, to recognize what is your strengths and also to be very open about your own weaknesses. COWEN: Perhaps you may recall your 1999 game against Topalov. At a key moment in that game, you play Rxd4. When you played Rxd4 and made that sacrifice, did you see at the time the later brilliant moves coming up: your c3, your Bf1, your Rd7? Or did you just feel there’s going to be something that comes up? How much was it one or the other? Rxd4. Kasparov has annotated the full game here. KASPAROV: I’m not sure exactly at what point I saw the final combination. First of all, after playing Rxd4, I knew if he would have taken the rook, which was a mistake . . .
COWEN: Right, he should have played Kb6. KASPAROV: Exactly, and he’d get very good position, but I knew that is already good for me, though I was not sure about the outcome immediately. But within a move or two, I saw the whole line. I was quite lucky, but at the same time, it prevented me from finding the forced win in the middle of the combination because at one point, I made a second-rate move just because I already saw the whole line. COWEN: It was so aesthetically pleasing. KASPAROV: I just looked for obvious moves for black. By the way, both me and Topalov missed a much better defense for black that could have prevented this combination, though for the endgame . . .
COWEN: You mean 30… Rhe8? Does black hold with that? KASPAROV: Yes, yes. The endgame, it’s much better for white, though it’s not winning. The move pointed out by Kavalek, Ra7 immediately, it would be winning by force. It would be a mating net from where black king couldn’t escape. Because I saw this, it’s all the way up to the Rd7. You look at the time I spent, I played, almost blitzed because I was so anxious to reach the position and to demonstrate how far I could see it. Also, I was amazed by the beauty of this geometry. COWEN: I didn’t prepare you for this question. You simply remember, correct? The game against Topalov, I didn’t come to you before this session and tell you to go back and look at the game. You simply remember. KASPAROV: I have to confess that I don’t remember the exact number of the moves. I can reconstruct the game, but when I said Rh8 . . .
COWEN: That’s when he played Qc4? KASPAROV: Of course, exactly. Then it would end up with the endgame, when I would be changed down, but I had rook and bishop and several pawns for his two rooks. If I remember correctly, probably it’s winning, but it’s not forced. COWEN: Would a top chess engine have played Rxd4 today? KASPAROV: I didn’t check, it depends on the relation of Kb6 because even without calculating the whole combination, they will see immediately that white could force a draw. By the way, that’s what Topalov thought, that I wanted to make a draw. White could force a draw while, after Kb6, every engine shows immediately that black is better. I mean slightly better. But the evaluation, it’s clearly in black’s favor, so that’s why they wouldn’t take the rook. I think at that time, white had no choice but to take on d4 because otherwise, the whole position . . .
COWEN: Then black has much more space, yeah. COWEN: Now, given this, does this mean even very, very good chess engines will never play games as beautiful as human beings? Because you were so excited by this combination, in some ways, it may have led you down inexact paths, but it nonetheless led you down those paths, and we got the beautiful game that we did. KASPAROV: Now you move back to these things, chess computers, and there’s certain things that people should realize. I hate talking about these things. We say in Russia it’s using a “bird language,” because you’re asking me questions and I’m not sure that — 99 percent of our listeners — they understand exactly what we are talking about. The one thing for people to understand is that chess is, you may call, mathematical infinite game. The number of legal moves is more than number of atoms in the solar system. So machines cannot solve the game. You cannot expect machine to play e2-e4 at move one and announcing mate at 16,455 moves. But machines could work the game of chess from the end. Now we know that machines mathematically solved all positions with four pieces, like king and queen, versus king and rook. All positions with five pieces, all positions with six pieces, and now seven pieces. Seven pieces, it’s on the way. I’m not sure it’s all solved. We’re talking about 100 terabytes. Obviously, eight pieces will be already just insane number, and the game of chess’s ultimate endgame with 32 pieces. That’s why, maybe, machines will get to eight or nine moves, but that will probably be the end, even for the immense computing power that you can expect in next five, ten, twenty years. COWEN: Will AI write beautiful music, or is there something about . . . ? KASPAROV: But I want to finish this because what we discovered in this process . . . I wouldn’t overweight our listeners with all these details. I don’t want just to throw on them the mass information. COWEN: It’s amazing what people will enjoy, though. You’d be surprised. KASPAROV: In some of the positions, like there are certain seven-pieces positions, when the win — and we’re talking about a forced win — can be reached within 500 moves. Now, 500 moves, I remember, I looked at some of the positions. Even at six-pieces positions . . .
COWEN: It’s not intelligible, what’s happening, right? KASPAROV: It’s no intelligence at all. It’s just pieces moving around. There’s a certain position with king, two rooks, a knight on one side, and king, two rooks on other side. It said mate in 490 moves, first mate. Now, I can tell you that — even being a very decent player — for the first 400 moves, I could hardly understand why these pieces moved around like a dance. It’s endless dance around the board. You don’t see any pattern, trust me. No pattern, because they move from one side to another. At certain points I saw, “Oh, but white position has deteriorated. It was better 50 moves before.” The question is — and this is a big question — if there are certain positions in these endgames, like seven-piece endgames, that take, by the best play of both sides, 500 moves to win the game, what does it tell us about the quality of the game that we play, which is an average 50 moves? KASPAROV: Exactly. It’s an interesting philosophical question, and I have to confess, I don’t know the answer. KASPAROV: Listen, that brings us to another point. Maybe with machines, we can actually move our knowledge much further, and we can understand how to play decent games at much greater lengths. Going back to computer chess, and I don’t know how much time you spend looking at the computer matches. KASPAROV: I think you can confirm my observations that there’s something strange in these games. First of all, they are longer, of course. They are much longer because machines don’t make the same mistakes so they could play 70, 80 moves, 100 moves. So 70 to 80 moves is a normal length. By the way, it’s still 70, 80 moves. It’s way, way below what we expect from perfect chess. That tells us that machines are not perfect. Most of those games are decided by one of the machines suddenly. Can I call it losing patience? Because you’re in a position that is roughly even. There’s maneuvers, and they go around. The pieces are all over, and then suddenly one machine makes a, you may call, human mistake. Suddenly it loses patience, and it tries to break up without a good reason behind it. COWEN: My driverless car will do this someday. KASPAROV: That also tells us — that’s an interesting observation, from also my experience — that machines also have, you may call it, psychology, the pattern and the decision-making. If you understand this pattern, we can make certain predictions. It’s not all predetermined. There’s so many things that can go one way or another. That means that we will not be run by these mystical AI. That it’s not perfect. It’s far from perfect. Still there are so many errors it doesn’t know how to cover, even setting aside a simple question whether the brains can function effectively separately from the body. What does it mean that you have brains that are not part of our moving body? Can you separate it and still have the same effect? My answer is I don’t know. That’s what I believe is good because that tells us that there’s so much to learn in this process. For those who are predicting that AI is just around the corner and it’s going to wipe us out, they don’t know what they’re talking about. COWEN: It’s more like a future of inscrutability and periodic surprises. KASPAROV: We also know that the doomsaying has been always a very popular pastime when it comes to technology because it’s easy. It’s us against them, the race against the machines, the war against the machines. You can sell it. It’s a process. It’s a process, and we should be objective. This is not too optimistic, not dark pessimism, but something that is more human, which is, let’s get objective. Let’s assess our chances, and let’s realize this is a process of developing further human civilization. Compared to the fears that people had about machines in 19th and 20th century, we’re not pioneers. COWEN: Do we do our best thinking under pressure? KASPAROV: Yes, we do much better. I’m not sure best, but we definitely perform much, much better. Some people collapse. COWEN: Aronian. I know, you can’t say that. KASPAROV: No, no. As a humanity, of course, we operate much more effectively under pressure. Look at wars. COWEN: A lot of mistakes, though, are made in wars. KASPAROV: Exactly, but this is mistakes always made. We’re talking about the performance. Look at the productivity. Look at what people can do by inventing new things. The moment they’re under pressure, you can expect that part of the group will perform way above expectations. COWEN: Last question. What has been your favorite city to play chess in? And why? COWEN: Looking back, is it Moscow? Is it Linares? KASPAROV: I’ve played more chess in Linares than anywhere else in the world, I guess. COWEN: And you’ve done very well there. KASPAROV: I did well. In terms of perfect results, I would say Paris. I played a few events, but most remarkably, five rapid chess tournaments . . .
COWEN: And the city never distracts? KASPAROV: . . . and I won four of them, and I was in the final in all five. In terms of rating my performance, I don’t think any city will come close to Paris. COWEN: The city of Paris never distracts you when you’re there. If you’re there to play chess, you play chess. KASPAROV: No, look, Paris is always Paris, but again, the results were nearly perfect. I’m just thinking about other places. COWEN: Is there a home disadvantage? Anand playing in Chennai — his whole entourage is there, he’s a big hero in India, his family is around, he has to juggle competing demands — is it better? KASPAROV: He lost to Magnus in Sochi as well. COWEN: So no home court disadvantage in chess? KASPAROV: It could be advantage, it could be disadvantage. It’s a pressure. I never played at home, except 1998, I played in Baku. It was a tournament when I made my second grandmaster’s norm, but that was not such a big challenge. Of course, people wanted me to win, but I was much stronger than the rest of the field. It was all about me competing with Beliavsky for the first prize. Everyone knew I would be a grandmaster there. Big matches, when I played Moscow with Karpov or other events, it was not considered to be home — though I was not very successful in Moscow when you look at overall performance. If you play at home — and think about Anand and Magnus — or you are a guest; it’s a pressure on both players. It’s extra pressure. It depends who can handle it better. Since Magnus beat Anand both in Chennai and in Sochi next year, I don’t think that the home factor or guest factor played a major role. COWEN: One final question I forgot. Who is the most likely challenger to Magnus Carlsen this next time around? KASPAROV: Considering the logic of the world championship history, Magnus should face opposition from a younger player, or the same age. So I would say there are three players that, I guess, could challenge him. Maxime Vachier-Lagrave, I would rate him as least probable among the three. Second, Caruana, and the most likely, Wesley So. The reason I put Wesley ahead of two others is that he has phenomenal concentration, absolutely phenomenal, and that’s very important. These days, concentration trumps everything. I would put it on top of other things, though he’s a very, very good player. I think that he might be the most dangerous for Magnus. COWEN: Because he has nothing to lose, he feels? KASPAROV: No, because his concentration could overboard Magnus. Magnus’s concentration was always his strength. He was always very concentrated. He could mobilize all his resources for the game. We saw Magnus could feel…despite again I guess So has to qualify for the Candidates; he still has to win it. But against Wesley So, Magnus could have some serious problems in reading his opponent, and also messing up his energy. So could reflect. I think his match with Caruana could be also uncertain, and if Vachier-Lagrave makes some improvements, more psychological improvements, he could be also dangerous. He’s the same age; Caruana is younger. So is even younger than Caruana. So I would bet on these three as one of the Magnus challengers, ranking them in the following order: So, Caruana, MVL. COWEN: Garry, thank you for the chat. It’s been a pleasure.